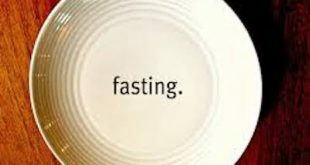 Many people may experience indigestion during Ramadaan, particularly after consuming big meals at Iftaar, where they have stomach upset with a burning feeling in the upper abdomen. Indigestion during Ramadan is not an illness. It’s a temporary malfunction of the digestive system, related to unhealthy eating habits, over eating, eating fast, etc. Burning in the stomach or upper abdomen, heartburn, abdominal pain, bloating, belching, nausea, vomiting, acidic taste and sometimes diarrheoea. Eating too much at the Iftaar meal. Eating too fast without chewing or chewing with mouth open. Swallowing of air when eating. Eating fatty and spicy foods. Fatty foods stay in the stomach for longer time and cause the stomach to produce more acids. This causes heart burn and indigestion that last for 2-4 hours after consuming a fatty meal. Drinking too much of caffeinated and carbonated beverages, such as coffee, tea and cola. The best way to treat indigestion is to prevent it by avoiding foods and situations that cause indigestion. Keeping a food diary is helpful in identifying foods causing indigestion. Eating small Iftaar and Sahoor meals in addition to healthy snacks is a good technique. It is healthy to fill only 1/3 of your stomach with food and to keep 1/3 for fluids, and 1/3 for better breathing. Try not to swallow too much air when eating. Reduce your intake of foods that contain high amounts of acids, such as citrus fruits. Avoid excessive consumption of caffeinated and carbonated drinks. Quit smoking, if you are a smoker, as smoking irritates the stomach lining. Avoid passive smoking as well. Avoid wearing tight-fitting clothes as these tend to compress the stomach. Do not exercise with a full stomach. Rather, exercise 2-3 hours after eating your meal. Do not lie down right after eating your meal and wait at least 2 hours after your last meal before going to bed. Sleep with your head elevated (at least six inches) above your feet and use a pillow to prop yourself up. Drink fluids after the meals rather than with the meal. Reduce your consumption of fatty and spicy meals and replace creamy desserts with fresh fruits. Indigestion not related to eating. If your indigestion gets worse. If the indigestion is accompanied with vomiting or with blood in stools. If the indigestion is accompanied with any of the following: severe pain in the upper right abdomen, shortness of breath, sweating or pain radiating to the jaw, neck or arm.